As a rule of thumb, I try to avoid having expectations about music. I want to go into a release as a blank slate, so the only thing I can judge it on is itself, and not be falsely weighed down or bolstered by any preconceptions I had. Sometimes, though, I am forced to admit that I had expectations, and Color*ze is one of those times, because those expectations have been perfectly met. And that’s not good. 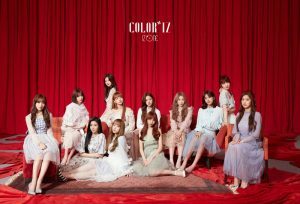 Color*ze, as the debut EP of the latest Produce 101– formed group, IZ*ONE, is inarguably the least important thing about their official debut. Less important than the line-up, the debut track, their CF deals. At this point, I honestly don’t know why they bothered with a full EP; no one is here for the music. I was expecting candy-coated sugar pop, a generic ballad, maybe one bright spot, and a mini padded out with tracks from Produce 48, lots of strained upper registers, all mashed up in a release that’s utterly disposable, and that’s exactly what I got. So why am I so disappointed? Because I am. I am disappointed and hurt by a release whose flaws I saw a mile away. Never before has something let me down by being precisely what I thought it would be. Maybe it was my hope that the guaranteed success would prompt a certain level of musical experimentation. That’s certainly the case for the title track, “La Vie En Rose”. While on-trend synthpop, it gets more grand and orchestral, even bringing in a touch of strings. It’s got a very timeless feel, aided by the reference to the Edith Piaf classic, and will likely stand the test of time better than a lot of other tracks currently flooding the market. But that’s the single. The rest of the EP shows nowhere near that level of originality or innovation. There are traces of musical ideas, such as the rockabilly riff on “O’ My!”, but overall, Color*ze is cookie-cutter– bland, blase, and boring. There are two piano ballads, neither of which is memorable in the slightest, a couple brighter bubblegum pop songs, and some tropical house tones, because that trend hasn’t been beaten completely into the ground yet. It’s not even lazy. Everything is done with a frustrating level of competence. 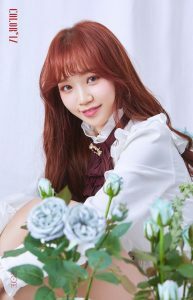 There’s a lot of straining for high notes, especially notable on “We’re In Love, Right?”, but I’m willing to give that a pass due to the nature of IZ*ONE forcing the production staff to write music in a rush or for an unknown line-up. It’s all assembled fine, but the pieces are so dull. Maybe that’s the issue. Maybe I’ve just hit my ceiling in terms of dealing with music that wasn’t meant to last. “La Vie En Rose” is a song that’s meant to last. 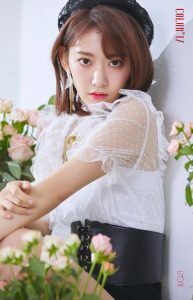 That’s a track with impact, something that will continue to pull people towards IZ*ONE when this promotional cycle is done. Color*ze will not. It’s disposable music in the worst, most literal sense. It exists not as a permanent item, but a quick fix to be used for a little while and replaced in a few months. As someone who genuinely loves music, it’s frustrating to see so much effort put into the image and the concept and the single and the personas, while the meat of the music industry is reduced to scraps. You know what, I think that’s my issue with Color*ze meeting my expectations: My expectations were subterranean. I wanted them to surpass the level of safe pop music I thought it was going to be. I was thrilled when they did with “La Vie En Rose”; it’s a genuinely good song. But Color*ze is yet another EP that hit my secret expectations of uninteresting releases filled with technically acceptable but completely unengaging music intended to sate it audiences until more of the same can be produced. I honestly don’t know what else I expected.